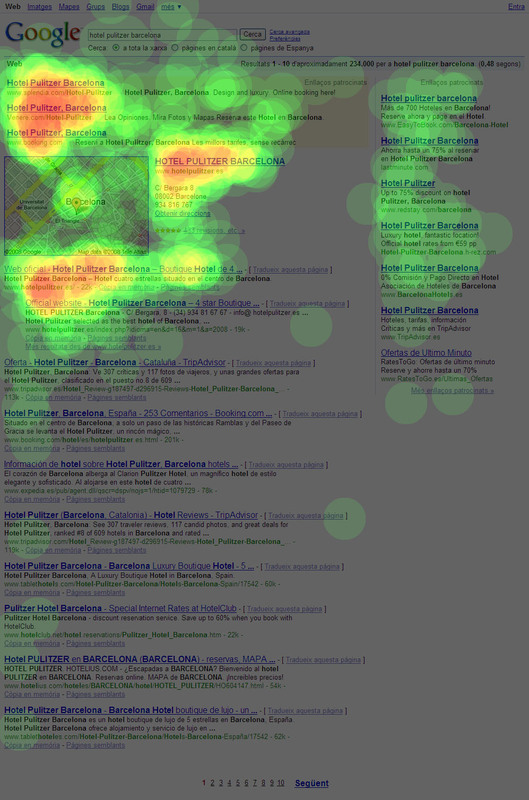 Who else who has less ever see a heat map that runs through the network, Eyetracking done with technology and showing what is called "The Golden Triangle Google"The gold zone in which you have to appear if you want to be something on the net ... the space where all eyes of Google users. Myself, I've used a lot of times in classes and lectures, to show graphically the importance of appearing in the top positions of Google, either in the form of Adword, Whether in the form of natural positioning (SEO). 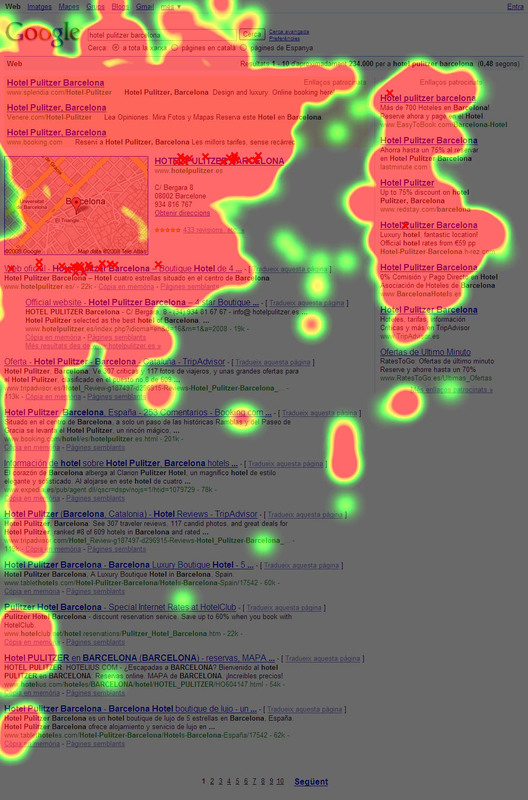 But this heat map has its years, and every time I use it I wonder whether it will be really valid now that Google displays results including maps, books, definitions, etc. (The image I show along these lines corresponds to the classical heat map to which I am referring). Hence one of the things I wanted to test in testing we have been doing during the months of December and January to draw up a Search study aimed at Tourism Marketing, By using technology Eyetracking, it was whether the Golden Triangle was still valid, or otherwise, now appeared another geometric figure. Well, after performing the tests (54 individuals by testing 4 different tasks, altogether 216 heat maps results pages Google), we conclude that it remains valid, especially when very specific searches are performed and offer results found in the top positions, although the lateral Adwords are now most watched shows the classical triangle. 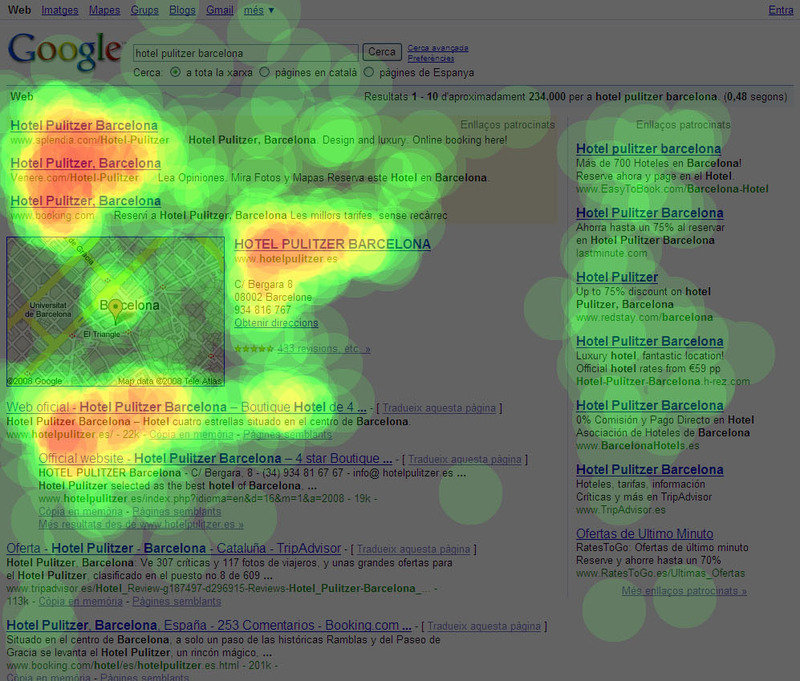 This I show below is a heat map to search "Hotel Pulitzer Barcelona"(Without quotes) adding the maps of 30 users tested, taken at random and untargeted. The task was to find the URL official Hotel Pulitzer (he was both Google Maps and the first result SEO). 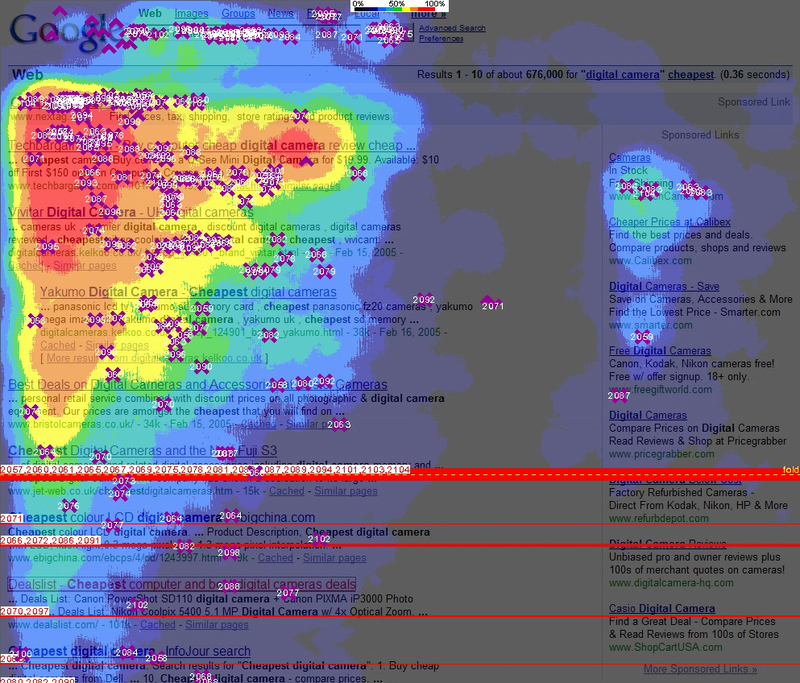 I show the map is a map of percentages fixing eyes (the same type the "classic" only that our EyeTracker different). We can see how the triangle is formed, though somewhat blurred because of the map. A curious observation about the side Adwords: If this same search took, heat maps users under 25 will see something very different: not one has looked at the side Adwords and the triangle appears clean but somewhat disfigured, and focused on higher Adwords and natural results. 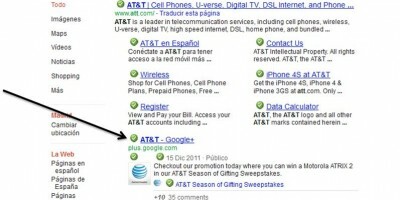 It seems that those under 25 are very clear that the lateral Adwords are advertising and therefore do not deserve your attention ... (this topic is important and worth analyzing further because it refers to the theories of communication Postmodern well that both the map and the subject I discuss in another post). Today Google changes the rules of SEO in favor of sponsored, the Golden Triangle is cornered by adwords ads for geolocated results. You can check on searches like "houses madrid"
And he dares to play with the minimum standards of usability and user experience visually untying the results of local business links. To see how this experiment is. It remains valid but is not as reliable as prior art. Thanks for the info! Very useful! Each time this famous triangle all ads precisely camouflages google ... a shame! we do not usually make much headway with the first option is worth to us.